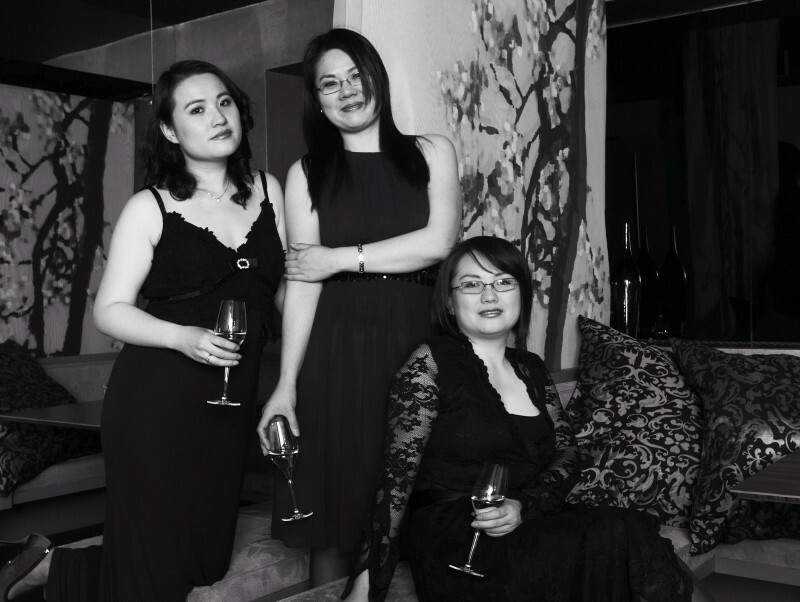 Geisha, an upscale Asian restaurant near Amsterdam Central Station, is owned by three Chinese sisters, Dongmie, Meili, and Meauw Wang. Their path to being restaurateurs was almost predictable, as good food was abundant in their childhood. Living in the Netherlands inspired creativity, at least for the three little girls. They experimented with cuisines other than Chinese and, as they got older, they felt money was better spent on a memorable meal out rather than material items such as clothing or jewelry. Growing up though, they swore to never enter the restaurant industry, knowing the commitment and long hours required. Many members of their extended family owned restaurants, but fate prevailed. Hospitality runs deep in their veins. Their great grandfather is partly responsible. Unintentionally, he was one of the first Chinese persons to live in the Netherlands, arriving just before World War II. Losing track of time and missing his departure in Rotterdam, he had no other choice but to stay in the country. Despite not knowing one word of Dutch or English, he managed to survive. Twenty years later, he returned to his homeland China to be reunited with his family. His lineage continued with children, grandchildren, and great grandchildren. Members of the family even returned with him to the Netherlands for a better future. If it wasn’t for his unfortunate mishap and being stranded in the Netherlands, who knows where in the world Dongmie, Meili, and Meauw would be now.